Jennifer McNulty and Rafa Ballesteros, two topnotch experts on localization, share their insights on how to manage localization projects. Localization is the process of modifying a product in order to adapt it to a specific cultural environment. Localization projects require managing teams spread across the world, which can include developers, testers, linguistics, legal, marketing, customer-support, and other highly specialized team members. 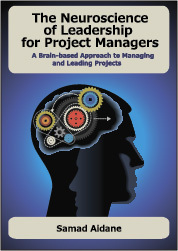 These projects can be challenging and Project Management is a critical component for their success. Jennifer McNulty and Rafa Ballesteros, two topnotch experts on localization, explain the unique challenges that localization presents to project managers and what it takes to manage these types of projects effectively. For a Project Manager just learning about localization, what are some of the basics you think they should know? When deciding to launch a product globally, what are some of the different types of localization that a project might undertake? What are some of the considerations in the initial project planning phase specific to a Localized product that the Project Manager should keep in mind? What are some of the logistical issues that having an international localization team presents? Once the project is underway, what should the project manager keep an eye on/monitor? What are the potential pitfalls? What are some of the other phases of the localization process? What considerations should be made when closing the project? Can you share with us some of your best practices? Where can people go to find out more information about the topic? 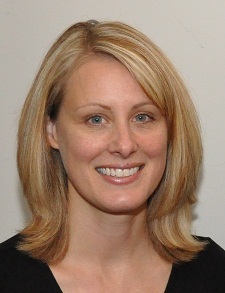 Jennifer McNulty has 15 years of project management experience, specializing in localization and games. Jennifer is a certified Scrum Master, is PMP Certified, and is adept at herding cats. She wields both technical and soft skills driving end-to-end localization processes and previously managed Microsoft Hardware Localization for several years. Jennifer is currently the Business Unit Director of adaQuest’s Managed Services Business Unit and as a member of the adaQuest Leadership Team collaborates on the company’s short and long term goals. She brings diversity to adaQuest’s international flavor by hailing from Buffalo, New York. 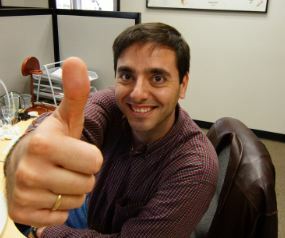 Rafa Ballesteros works as a Project Manager and International Project Engineer at adaQuest. While his specialty is localization, he participates on many projects beyond that scope, including software product development and office barista. Rafa had served a as a Localization Project Manager and Senior Localization Engineer for Moravia IT, and has worked closely with Microsoft on high profile projects such as Windows Phone’s Metro UI, Windows 7 and Microsoft Office. He also worked as a Software Development Engineer in Test for the Natural Language Group. While currently enjoying mountain views in Snoqualmie, Rafa is originally from Seville, Spain. adaQuest, Inc. was founded by experienced program management professionals who recognized the need for a more efficient project management model. adaQuest specializes in Project & Work Management Solutions (PWS), Managed Services and Professional Staffing. adaQuest’s PWS unit employs PMP®-certified PMs who are experienced with the latest technologies, including EPMLive’s Workengine®, Microsoft Project and Project Server 2010, and FluentPro software. adaQuest’s PWS is also the creator of the Project Butler™ (Answer Questions – Build a Schedule). adaQuest’s Professional Staffing unit aims to provide an Effortless experience to adaQuest’s customers. From Recruiting to Onboarding of candidates, adaQuest has internal processes that get quickly integrated and proven professionals. adaQuest stands for accessibility and flexibility of interaction, and customer intimacy is engrained in their company DNA. adaQuest’s Managed Services assists clients with the outsourcing of infrastructure and management for their Localization and Venture Integration projects, including (but not limited to) all the phases of the Project Management life cycle. Headquartered in Bellevue, Washington, Dataquest has been assisting clients in meeting project and corporate objectives since 2001. Love the quality of this podcast, Samad. I think this podcast is easy to the ear and provides a quick review of the common pitfalls/challenges faced by Project Managers. This piece will help folks understand the international side of Project Management: Localization Project Management. Thank you Paola for the feedback. Indeed Jennifer and Rafa share great insights on this very important yet overlooked type of projects. I look forward to having them come back and share some more of their vast experience in leading international and localization project. Thank you. Really well done, Samad! It is great to have something to point to that really demonstrates the basics of Localization Project Management. It can be hard to explain to those outside of the industry so these kinds of resources are so valuable. Thank you so much Kathryn. I agree, it is really hard to find resources that address the unique challenges of localization projects. The aDaquest team is clearly expert in this domoain and I am grateful for sharing their knowledge with us. Looking forward to more collaboration with the aDaquest team. thank you for taking the time to share your thoughts.